DE Running Mom: I Love Packages! Yesterday's tempo run was spot on! I warmed up for 10 minutes then settled into my MP ( marathon pace ) for 12 miles...Overall I ended with 13 miles in 1 hour 34 mins with an average pace of 7:13...Lets just hope I can maintain this for 26.2 miles! You know it is a great run when you have shin sweat and your shirt that was light gray is now dark gray! 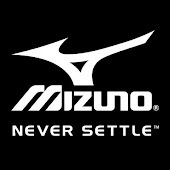 I cannot wait to race for this amazing team! Love the arm warmers with thumb hole! Plan to see a lot of this outfit! Lauren is uber talented and can whip up the most amazing treats and food! This was the perfect treat post swim because I was starving! The boys came home from school and did the biggest happy dance while eating the lemon cookies!! So DELISH!!! Thank you Lauren you are the BESTEST ever! What a perfect day and looking forward to racing in my new gear! I have coupon codes for 10% off if anyone wants to purchase some fantastic clothing/gear! 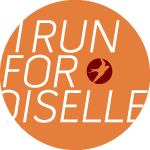 Oiselle is partnered with Every Mother Counts and for all my Labor and Delivery/ Maternal Child friends out there this is a great cause!! If you click the link it will give you more info!